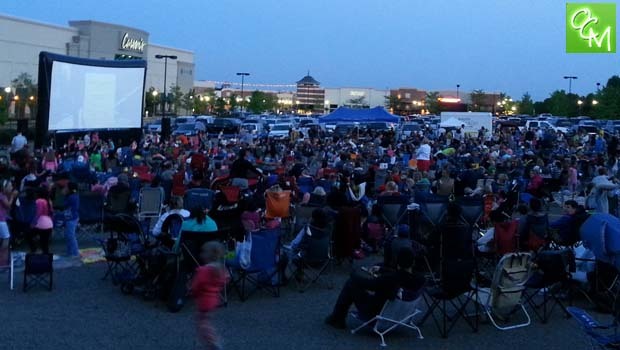 Free Summer Movie Nights 2019 – Oakland County MI free summer outdoor movies, movies under the stars, movies in the moonlight and other FREE family fun events. These events are FREE – just bring your own lawnchairs (or blanket) and some snacks. Some Oakland County, MI communities host pre-movie fun with giant inflatable bouncers and some offer popcorn and snacks for purchase before the movies fun begins. Berkley Outdoor Movie Night – Berkley will host an outdoor movie night at Oxford/Merchants Park in August. Birmingham Free Summer Movie Nights – Booth Park will be hosting free movies under the stars this summer on select evenings. Rochester Movies in the Moonlight – The giant inflatable screen returns to E Third Street for another summer of free movies. Rochester Hills Free Summer Movies – The Village of Rochester Hills hosts movies in the parking lot outside the Gazebo on select Friday nights. Thanks to the Village of Rochester Hills for help with this page. See related posts below for more free summer fun for kids and Free Summer Movie Nights 2019.